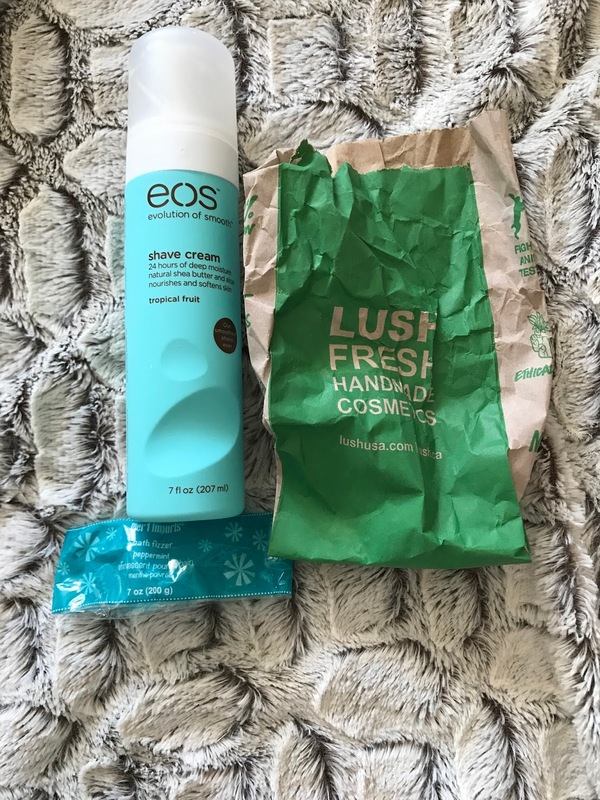 It's been awhile since I've shared an empties post and my bin was about to start overflowing! I have been saving beauty empties and household empties so you can see the kinds of stuff I have finished up recently and I can give you reviews on them! When I laid all of the products out I was surprised by how much was actually inside the bin. 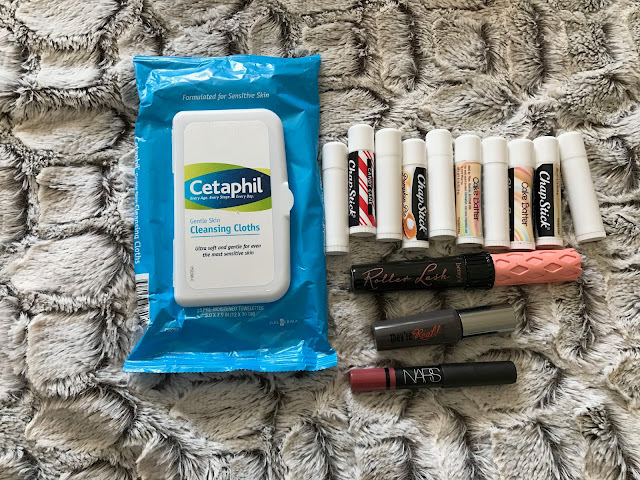 As I mentioned in my last post one of my goals this year is to use up the products I already have and not to buy new items unless I need a replacement. I'll let you know in this post if it's something I would consider purchasing again in the future or if it's something I don't feel the need to ever repurchase. First up: perfume. Perfume is a difficult category to get through. I have an insane amount of perfume in my collection and quite honestly there are only a few I would pick out to wear each day. This is one of them. 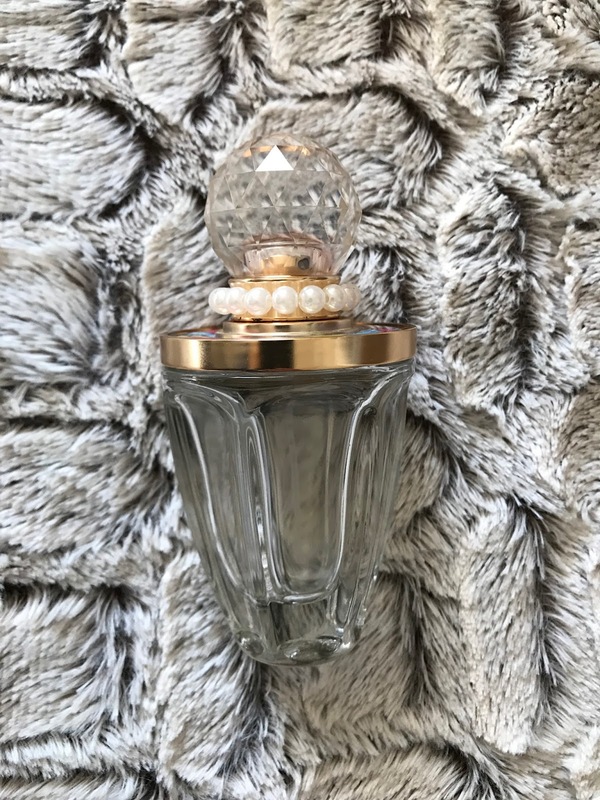 Taylor by Taylor Swift is one of my favorite perfumes and I have already repurchased it when I saw a set on sale over the holidays. I am avoiding using it for now however because I want to get through some of my other perfumes. It doesn't make sense to use up products I like quickly so I will take my time with this one in the future. I hope I don't need to purchase Airborne again anytime soon. I was super sick in December and was trying to get as many vitamins as possible in my system. 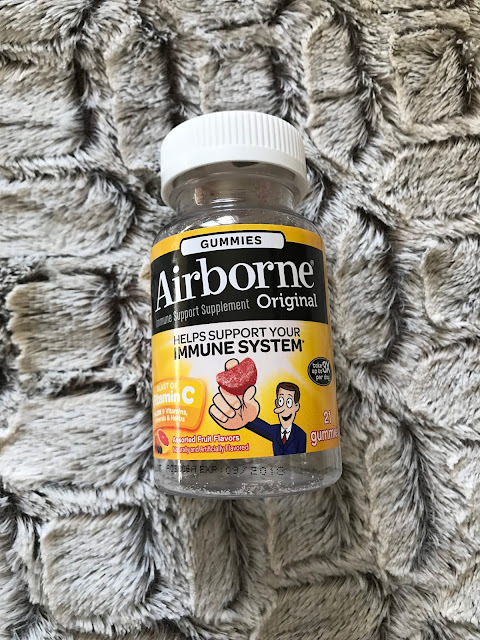 I did enjoy the gummy version pictured because I generally hate the taste of airborne and the gummies helped quite a bit. Once again I finished up a TON of Chapstick! I actually finished up quite a few cake batter but also finished up some candy cane and pumpkin pie. I love the cake batter and candy cane but the pumpkin pie was horrible. The Cetaphil wipes were just okay, nothing special. I will definitely not buy those again in the future. I used Benefit Roller Lash Mascara which is definitely one of my favorite mascaras. They're Real Mascara was also great and I would purchase this again as well. I never use lip color but I did finish a Nars Lipstick and enjoyed wearing it on special occasions. I used up two shower gels recently. The first is Not Soap Radio which was a beautiful blue color and was a nice fresh scent. I did enjoy it but don't feel the need to purchase shower gels from them in the future because I really do enjoy Bath and Body Works shower gels and will probably stick with them. I do have quite a few more samples from Not Soap Radio to use up. The second full size shower gel is from Bath and Body Works and is in the scent Waikiki Beach Coconut. This is from their Hawaiian line and I absolutely love it. I would consider purchasing it again in the future since it's a sweet coconut scent which I really do enjoy however I will be working on finishing up the shower gels I already have for now. 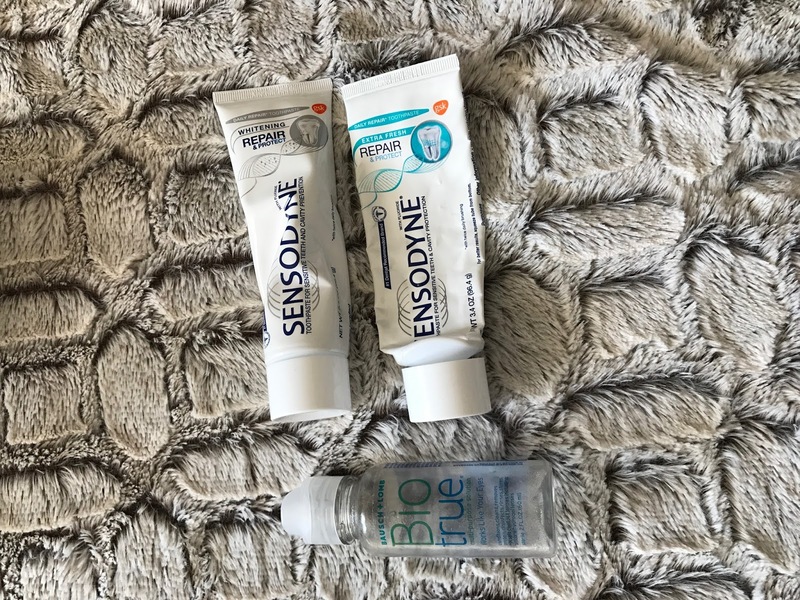 I did not like the Sensodyne Whitening Toothpaste and I actually wasn't able to finish it, but I did like the Pronamel version so I will definitely buy that again in the future. I also used up a BioTrue Contact Solution which I absolutely love and will continue using for all my contact solution in the future. Lotion; as you saw in my previous post is my true weakness. I finished up four mini lotions. The first is Moroccanoil Body Souffle which I enjoyed so much! I love all moroccan oil products and this was certainly no exception. They do tend to be a little pricey so I probably would not purchase this again in the future unless I found a really great deal on it. I finished two nourishing hand creams from Bath and Body Works in the scents Turquoise Waters and Maui Mango Mai Tai. I love the hand creams because they are perfect to put in my purse or desk and use all day long. I have been using them often lately. 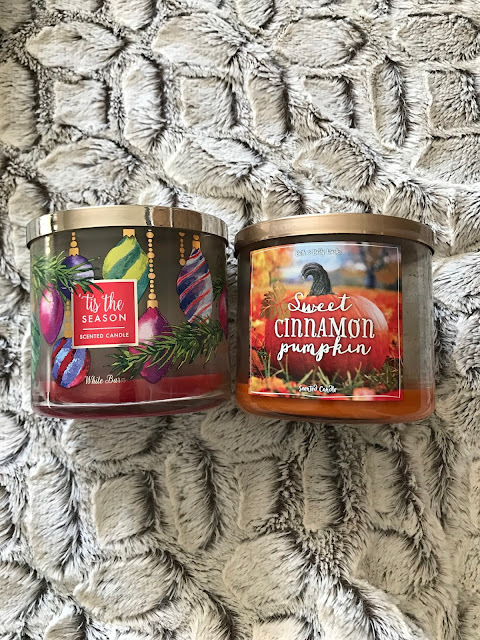 I liked both of these scents but do not think I would repurchase them over other scents. The last lotion pictured is a foot lotion I received in my Birchbox. Hey Honey Walk The Walk was a thick foot lotion that worked wonders on my dry, cracked feet. I really loved this and squeezed every last bit out of that tube! I usually just use whatever lotion I am using on my body on my feet as well but once I get my lotion collection under control I may pick up a foot-specific lotion and will keep this on my radar. This Pier 1 Peppermint Bath Bomb has been around awhile but I did enjoy it. It wasn't as nice as the Lush Bath Bombs so I do not think I will purchase it again in the future. Three mouthwashes used up! 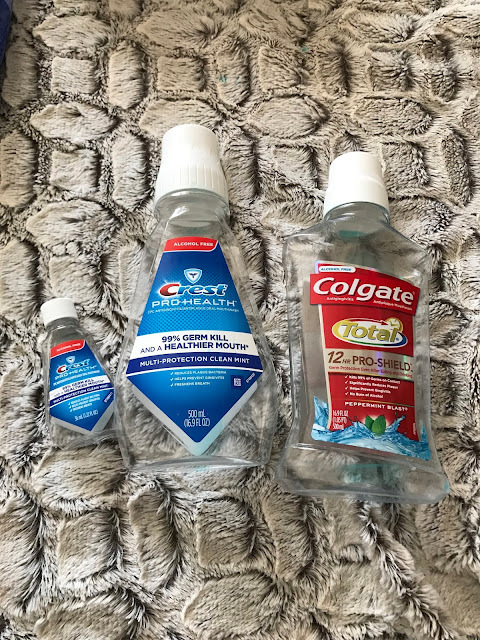 Two of them are Crest ProHealth which is my mouthwash of choice. I really think it has a great taste which makes me actually enjoy using it. The Colgate Total Mouthwash was okay, but I would much prefer to buy the Crest in the future. Both candles I've finished are from Bath and Body Works. Tis The Season is my absolute favorite candle right now! I have been using the soap in our bathroom recently and the scent is amazing especially around the holidays. I will repurchase this again for next year definitely. Sweet Cinnamon Pumpkin I received for my birthday and I loved it as well. Usually I go for Leaves candles and I still absolutely love that scent but now I'm loving this scent as well! I can't wait for the fall scents to come out again since they are some of my favorites and I love to use them all year long. 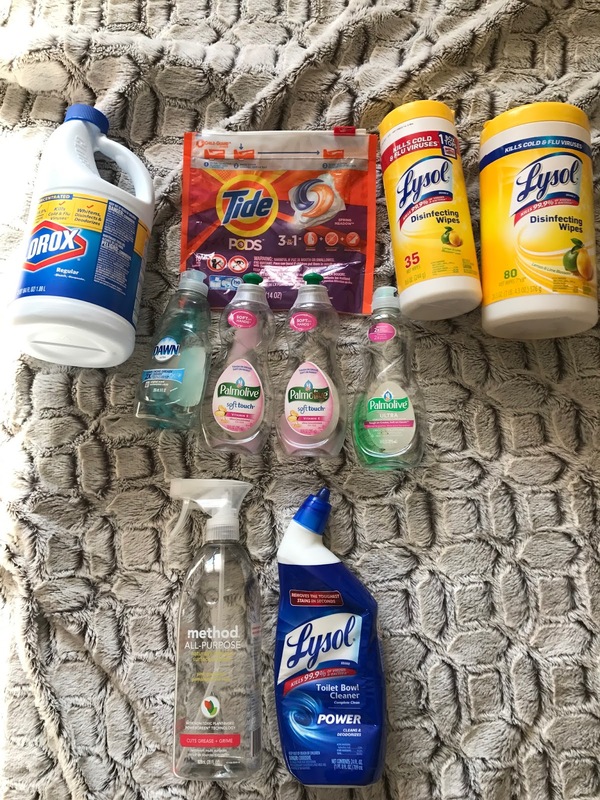 I have been using Tide Pods for our laundry which I have been liking so far. I grew up on Purex so Tide is a new thing for me and so far I like it because it seems to get our clothes super clean. I've used up three Palmolive Dish Soaps and one Dawn Dish Soap. It doesn't particularly matter to me because they both seem to get the job done. I finished two containers of Lysol Disinfecting Wipes which I primarily use in the bathroom. Sometimes you need a product that is tough and has disinfecting agents in it and the bathroom is definitely one of the places that it's necessary! I also use Lysol Toilet Bowl Cleaner because once again the bathroom is not a place you want to mess around with germs. Lastly my natural product Method All Purpose Cleaner in Pink Grapefruit was fantastic. I have been using Method for all my cleaning and dusting. I use this in the kitchen, living room and bedroom and I think it works great! I have a ton of hair products to get through and managed to get through a few lately. Macadamia Deep Repair Masque is one of my staples. I constantly repurchase it when I see a deal at my local TJ Maxx. I have another container in my shower now and I also received one in my stocking at Christmas so I am all set for a little while. My former hair brush was made by Sephora and I did enjoy it for quite a few years. I discovered that bristles were breaking and I decided to splurge on a new brush when I was at Target one day and said goodbye to my tattered friend. I would recommend Sephora brushes but I don't feel that they are any better then ones you can find at the drug store. I finished a hotel sample of Aqua Shampoo and Conditioner which was just okay. It lasted me two uses and didn't damage my hair at all but it certainly was not my favorite set by far. I think most hotel shampoo and conditioners just aren't that great! I also finished Pantene Expert Shampoo and Conditioner which I thought was fabulous. Pantene despite getting quite a bit of negativity actually seems to work great with my hair. I have super dry hair so I always appreciate the moisture it provides. Finally Loreal Power Mositure Shampoo and Conditioner were awesome! I would definitely repurchase these in the future since they worked great with my hair.